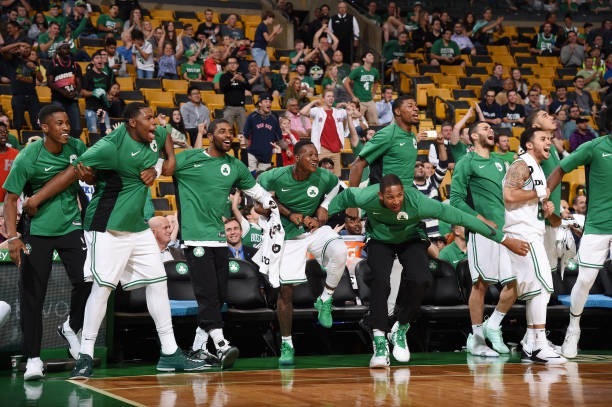 The Boston Celtics are officially ready for the 2017-2018 regular season. Training camp and four preseason games are in the books. Roles are being defined and the chemistry is on the rise. 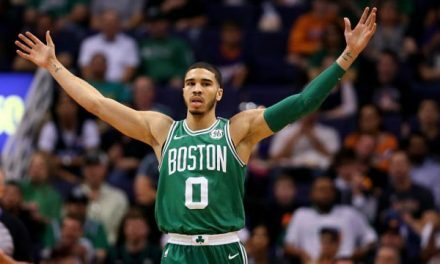 In honor of Zach Lowe’s annual NBA predictions column, here are five bold predictions for the upcoming Celtics season! 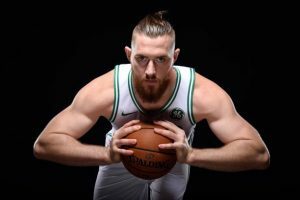 Baynes has been a revelation in the preseason. 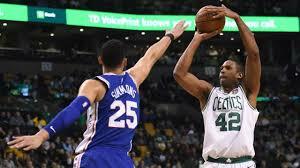 Before suffering a hyperextended left knee against the 76ers, he had been a pleasant surprise for the C’s. His stats, eight points and a little over four rebounds in 14 minutes/game, won’t jump off the page, but his impact on the floor is undeniable. He has crashed the offensive class, set thunderous screens, and been dynamic in the pick-and-pop midrange game. 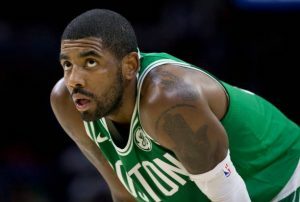 More than anything, though, he has brought a toughness and physicality that the Celtics haven’t had since the Garnett-Perkins era. Baynes can battle with the more bruising centers, allowing Al Horford to slide over to the power forward spot. 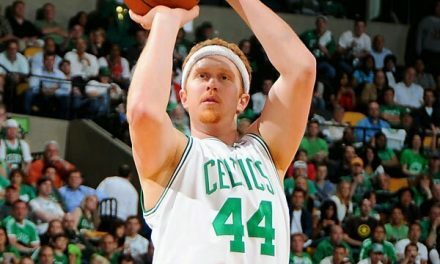 He can become the defensive anchor that Boston has needed for years. Morris will definitely put up bigger numbers, but Baynes’ toughness and work ethic will land him a spot in the hearts of all Boston fans. The Boston offense has looked downright destructive throughout the preseason. When their “Big Three” of Kyrie Irving, Gordon Hayward, and Horford play, the ball movement, spacing, and shooting dismantles opposing defenses. Kyrie’s penetration opens up shooters around the floor, Horford’s three-point shooting creates even more driving lanes, and Hayward’s ability as a secondary ball handler fills in all the gaps. 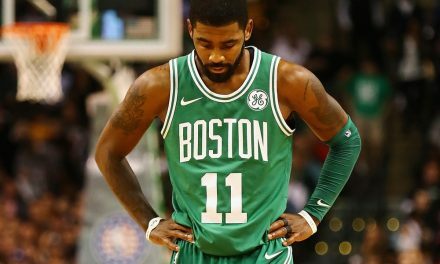 Add on the offensive talents of Jaylen Brown, Jayson Tatum, Terry Rozier, and Marcus Smart and there should never be a night where the team’s offense hits a wall. But given how many options there actually are, it’s hard to imagine anyone outside of Kyrie being able to consistently average 20+ points. There will certainly be nights when Hayward and Horford put up big numbers, but Kyrie will be the only one to eclipse 20+ points per game. Alright, I get it. I can already hear people grumbling under their breathe about the incredible heat coming off of this prediction. But is it all that crazy? The Celtics still don’t have one player that can average double-digit rebounds, that hasn’t changed. The strength of this team will be gang-rebounding. Baynes will do his part to clean up the glass when he gets minutes. Tatum and Brown are both athletic enough to grab five rebounds/game with enough court time. Rozier and Smart are two of the league’s best rebounding guards. There will be nights when the Celtics gets bodied on the boards, but don’t be surprised when they finish in the top half of the league in rebounding at the season’s end. 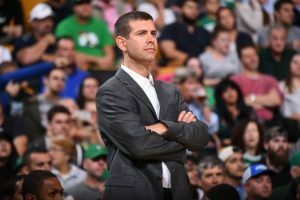 The hype around Brad Stevens has been steadily growing since he came into the league. His after-timeout plays are already the stuff of legends. Stevens has had an argument for COY in years past just based on how much he got out of the limited talent he had to work with. This year will be different, though. If he can meld all of these new players and manage the egos of multiple All-Stars, something he hasn’t had to do before, then his case for COY should be unmatched. Add on a trip back to the Eastern Conference Finals, or beyond, and he becomes a lock. The annual Over/Under win projections for the 2017-2018 NBA season were released a few weeks ago. The Celtics are projected to be first in the Eastern Conference with 56.5 wins, three wins above the Cleveland Cavaliers. After looking ahead of schedule with their chemistry and continuity on the court, they will exceed expectations. The Celtics will win 58 games and come in fourth for best record behind Golden State, Houston, and San Antonio.